The offered assortment of quality products is a result of complete quality inspections done at varied stages of sourcing raw material, which plays a vital role in delivering the finest products. We believe in transparency when it comes to payment of advance or full cost. We provide our patrons with numerous payment options for their convenience and ensure the methods are safe. 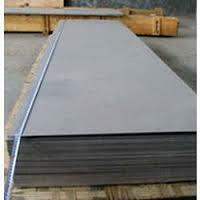 Mild Steel Plain Plates have a high tensile strength with a shiny finish on the surface and a long service life.